To help you better understand and prepare for the Arden Park Youth Triathlon, we asked our team of experts to provide us with training information and advice. 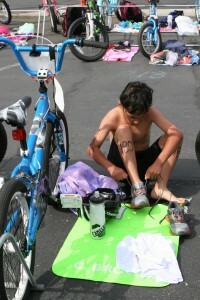 Not only does a triathlon consist of a Swim, Bike, and Run it also requires experience in the transition area (T1/T2) where athletes must prepare themselves for each leg of the race. In addition, have a good hydration and nutrition plan is a must to ensure a great race.